DNA® Black Chrome represents the ultimate in chrome effect paints. Black Chrome’s uniquely rich black look has no equal and is applied using regular spray guns used in most paint shops. When applied as directed you will achieve a uniquely Black Chrome look with great adhesion characteristics. 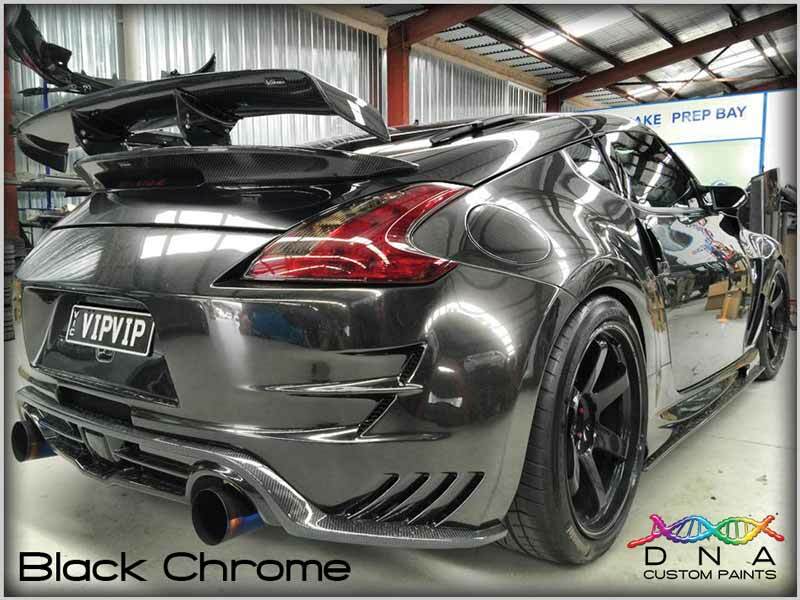 Black Chrome offers an exciting chrome-like finish that can be applied to vehicles, wheels, trim components, artwork, plastics, wood, tiles and glass. Anything that you can paint can be Black Chromed! Black Chrome™ is applied over a Pure Black BaZecoat™ which has been 2K clear coated with Diamond Clear™. The clear coat must have a high gloss finish and must be fully cured. Then using a mini gun 0.8mm, apply very light coats of Black Chrome™ best results are normally achieved with 3-4 light coats. Key Clear™ over the Black Chrome™ to lock the Virtual Chrome™ in place with maximum adhesion and minimal loss of chrome effect. Finally apply Diamond Clear™ 2K top coat for a high gloss finish with UV protection. See TDS for all details. Want some hands on training and practice before you take on that big project? 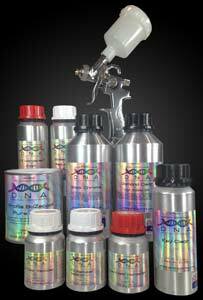 Book yourself into one of our “Chrome Painting” courses that run regularly at the DNA® Custom Paints training facility in Melbourne, Australia.